Events: ”THE GREAT ONE” IS COMING TO AUSTRALIA! In a partnership between concussion awareness and education platform Stopconcussions and Brain Injury Australia, the world’s greatest ever ice hockey player, Wayne Gretzky, will be coming to Australia to host the newly named 2016 Wayne Gretzky Ice Hockey Classic in June and July, supported by Hungry Jacks and Destination NSW. 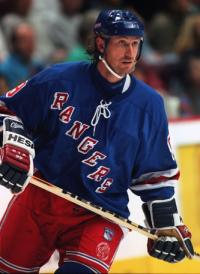 Nicknamed “The Great One”, Gretzky played 21 seasons in the World Hockey Association and National Hockey League (NHL) from 1979 to 1999. The 2016 Wayne Gretzky Ice Hockey Classic will play host to North America’s finest ice hockey players – including representatives from the NHL, widely considered to be the premier professional ice hockey league in the world – when the USA takes on Canada. As part of his visit to Australia, Gretzky will be based in Sydney and will be attending the match at Allphones Arena on Saturday, 25 June. Alongside showcasing the world’s best ice hockey, the 2016 Wayne Gretzky Ice Hockey Classic will be raising concussion awareness and funds for the Stopconcussions Foundation and Brain Injury Australia. Stopconcussions is a not-for-profit founded by former European ice hockey player Kerry Goulet and ex-NHL star Keith Primeau. Brain Injury Australia is the central clearinghouse of information and gateway to nationwide referral for optimising the social and economic participation of all Australians living with brain injury.